The Population of Gaza is about 2 Million, 50% are children. Economists consider it “unlivable.” The drinking water is poisoning the people. The blockage prevents even food from reaching them. 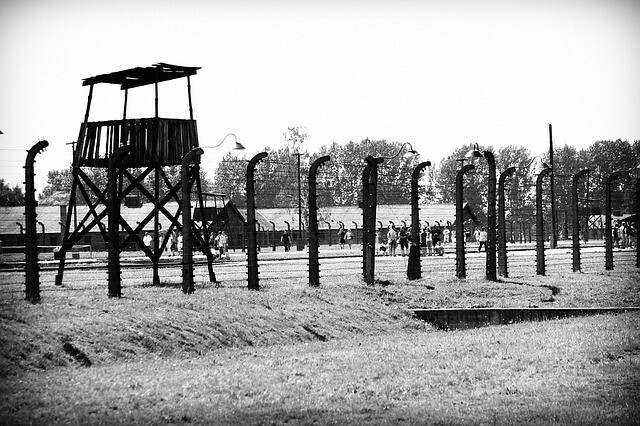 This is the most modern, blatant, mirror of the exact conditions that existed in Auschwitz. Photos of Gaza match in every way the photos of the Nazi concentration camps. This is no accident. This is a deliberate effort to exterminate 2 million people. Israel cannot fear Hamas in Gaza since the area is a prison. The entire population, men, women, and children will die, all 2 million. Israel uses bombs and bullets against people who can at best throw stones over a large fence. How can a supposed “terrorist” threaten anyone from within a prison? Even prisons provide 3 meals per day – meals that are safe to eat and drink. 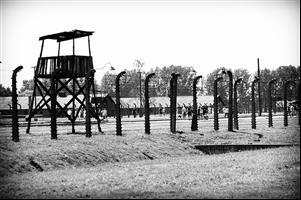 The photo actually has some variations from Auschwitz due to the size of the area. Poison is the modern form of Genocide.